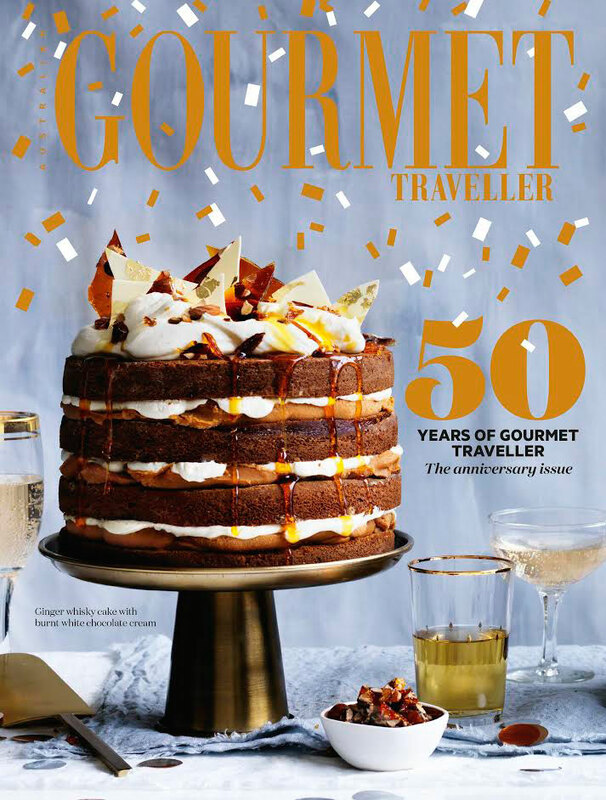 Happy 50th Birthday to the Australian Gourmet Traveller Magazine. To mark such a milestone Gourmet Traveller has launched a special anniversary edition. 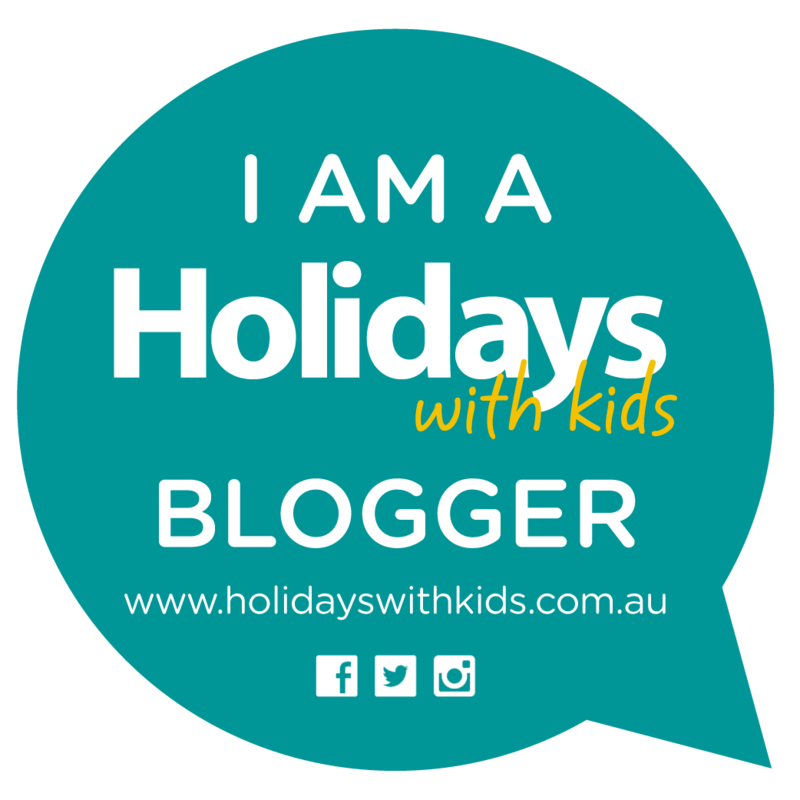 Included in this monumental edition is 50 travel experiences on Gourmet Travellers Birthday Wish list. Showcasing a global degustation of incredible and unique travel experiences for any discerning traveller. For those of you who enjoy a luxury train journey, hop on board Belmond’s Andean Explorer, to make its debut next year. This will be South Americas first luxury sleeper train, which will weave its way through the high altitudes between Cusco and Lake Titcaca in Peru. An extraordinary wildlife encounter dawn walk with meerkats. The Kalahari Desert in Botswana. Join guide and master tracker Ralph Bousfield co-owner elite safari outfit Uncharted Africa. 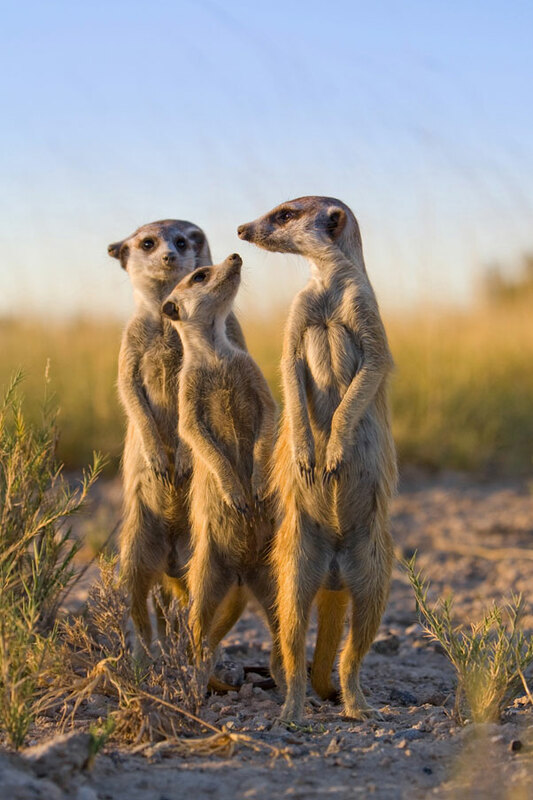 Camp Guests watch the meerkats group-hug to warm –up and follow them as they forage for insects. Shucking fresh oysters from the Great Oyster Bay on Tasmania’s East Coast, whilst enjoying an icy cold glass of Tasmanian wine. 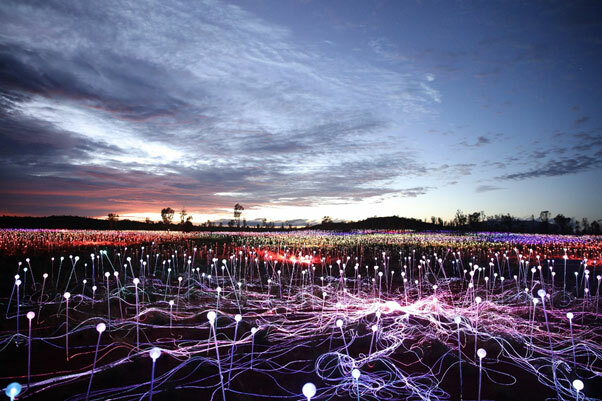 The Field of Light art installation by internationally acclaimed artist Bruce Munro. It is the largest Field of Light Installation to date, more than 50,000 stems crowned with frosted glass spheres will bloom. This solar powered installation is within sight of Uluru. Visitors can arrive to the installation via helicopter or camel. The Field of Light will continue until March 2017. This sounds like one truly magical travel experience. For lovers of Chanel the Ritz Paris offers customised treatments at the new Chanel Spa. Begin your treatment with a ‘soul diagnoses’ accompanied aperitif apple juice infused cinnamon. Complete with foot massage and choice of Chanel product and face and body ritual. 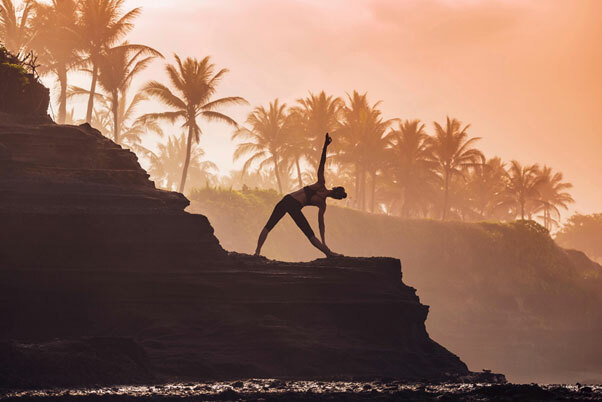 Clayoquot Wilderness Resort on Vancouver Island sends their guests and private Vinyasa instructor by helicopter to where ever they wish to find their Zen. If being on the water is more your thing. On the coast of Maine in the north east US, guests on board the 29m Windjammer Angelique spend their Zen time sailing whilst enjoying yoga and meditation classes on deck. For horse lovers, they have got you covered. Enjoy the combination of yoga and horse riding at the women only Big Sky Yoga, a cowgirl ranch in Montana. For those in search of that most perfect break, Occy’s Left located on Indonesia’s remote Sumba Island may just be at the top of your birthday wish list. Each day only 10 guests are allowed to tackle this break. May through to October is best time of year to go. 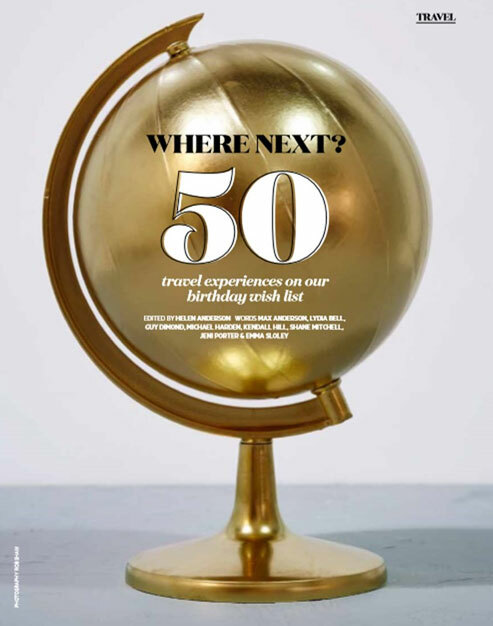 For the full list of Australian Gourmet Travellers 50 Travel experiences Birthday wish list, grab yourself a copy of this 50th Birthday issue, available Monday 24th October. With an incredible 276 pages this special anniversary edition will certainly put you in the celebratory mood and even inspire you to pick your Travel Experiences Birthday wish list.